Welcome to Mahekal Beach Resort! We have created this self-guided “Taste of Mahekal and the Riviera Maya” as a suggestion for you to experience a sample of things to do at our resort focusing on our food, amenities, activities, and also the region’s culture, environment, and attractions. With this itinerary, we feel you’ll be able to return to your agency and confidently recommend the resort and the area to your clients. Arrive at Cancun International Airport and transfer to Mahekal Beach Resort. Our Transfer partnership is with STP and the professional drivers will meet you at the door outside the customs hall with a sign and take you in a private or semi-private van with the Mahekal butterfly logo; the ride to our resort is about 45 minutes from the airport. For dinner, check out one our themed buffets (themes vary depending on the night of your arrival). We offer a themed night with a mariachi band and regional Mexican and Mayan dishes, or our Caribbean barbecue under the palms with grilled fish and mouthwatering steaks. Most of our buffets take place in Cocina, but some special nights are held at Las Olas. Rise early and check out snorkeling and dive options with our award-winning dive center, Vida Aquatica. 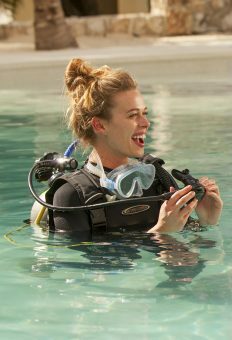 The team has extensive knowledge of the best dive and snorkeling spots, including places to swim with sea turtles and deep-water reefs. They provide complete equipment and instruction. The beachside dive center also rents stand up paddle boards and kayaks by the hour. Be sure to sign up in advance. If diving or water sports isn’t on your agenda this time, why not venture to Quinta Avenida (Playa del Carmen's Fifth Avenue) for a morning of shopping and people watching? World-recognized store brands include Victoria’s Secret, M.A.C. Cosmetics, Hurley, Havianas, H&M, GAP, though the avenue boasts local boutiques featuring unique Mexican linen, fine silver, tequila. For a bite to eat, visit one of the nearly 350 snack shops, bars, and restaurants. It’s fun to explore and bargain hunt on Quinta Avenida! Before dinner, stop by our pottery and crafts center to meet sisters Juliana and Victoria who have worked for the resort for over 12 years. They will help you paint, glaze and fire your own unique Mexican memento. We recommend doing the painting early in your visit so the staff has time to fire your pieces and return them to you during your stay. Did we mention dinner? Stroll over to Fuego Restaurante y Cantina. 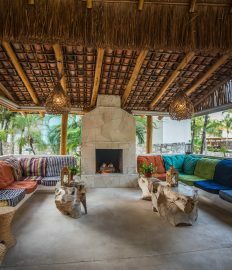 With a Tulum-style wood-burning oven, the chefs prepare flame-kissed prime cuts of beef, and local seafood, perhaps caught that day during our “daily catch” and the famed charred wedge salad. The selection of wine is superb, only matched by the calm breezes and light hypnotic sounds of a guitarista strolling the beach. Today we encourage you to get out of Playa del Carmen and take in the culture and history of the Riviera Maya by visiting an ancient ruin, mystical cenote or cultural show. Our guest experience desk can offer a wide range of suggestions depending on how active and what your interests are; historical, cultural, environmental or all of the above! Many of the attractions are within a 1 or 2-hour ride from the resort. Upon your return, we know you may be tired from walking around the ruins, sightseeing, or frolicking with the sea turtles, so we suggest a relaxing Mayan-themed massage from one of our massage therapists at Revive Spa. The 5 Senses massage incorporates touch, smell, sight, taste, and sound to create a unique and relaxing treatment designed to rejuvenate and revitalize. Our Mayan Cacao Experience uses Mexican cocoa for an aromatic treatment that will deeply relax and restore your tired muscles. For dinner this evening, join us at Las Olas restaurant, our open-air restaurant overlooking an infinity pool and the azure Caribbean Sea. It’s a perfect place to enjoy the moon rise and sample our buffet or a la carte service, which varies nightly. The staff at Las Olas is world-renowned for their attentive service and beaming smiles, they will win your heart over immediately. If today is your departure day, we hope before you leave you’ll have breakfast with us. 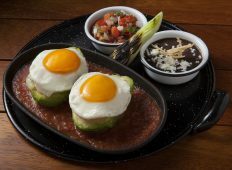 Breakfast is served in both Fuego and Las Olas (depending on resort occupancy). If you haven’t tried the chilaquiles, jugo verde, ranchos huevos we hope today is the day to expand your culinary palate. Perhaps you’ll have time to join us for a morning yoga session to ground your mind and calm your spirit for a day of traveling and the inevitable return back to the real world. Relax by the pool or in your hammock until it’s time to depart. We hope your journey with us has been a memorable one! Be sure to share your experiences and pictures with us on Facebook and Instagram. 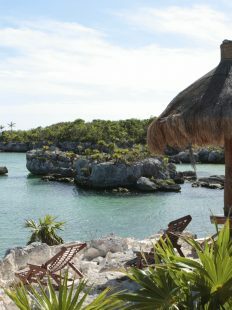 We try to share the unique ones with our guests, tag your photos with #MagicalMahekal.